The shocking truth is people are pretty damn strange. No offense to people who love cats. Cats in moderation are magnificent and majestic creatures. There are playful and fun and can be the joy of your life. 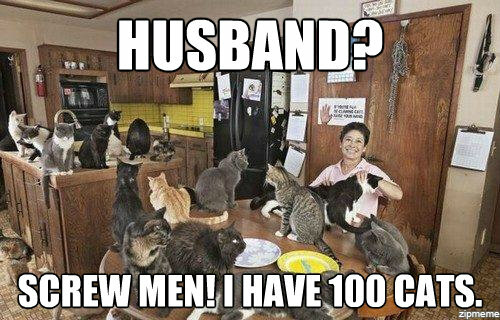 However, there is a thing such as too many cats. These people are often very reclusive and treat their cats as their babies, children, and only friends. These people are referred to as cat people. Usually, lonely women or lonely men that do not fit into society and find comfort with their animals. In an ever-more strange development somebody has developed a tongue in which humans can attach to their face and lick their cats to help cut down on feline hairballs. Hold on a minute! Did I just say they were going to lick their f****** cat? I sure the s*** did! I’m sorry but the day I see somebody put a fake tongue on their head strap it to their noggins and start licking their cat I will no longer be in communication with this individual. Unless the cat’s tongue got ripped out in a horrible accident and this cat is very special to you there is no f****** reason for this s***! If you see somebody licking a cat get them some help! They may not know they need it and that my friends is the shocking truth.